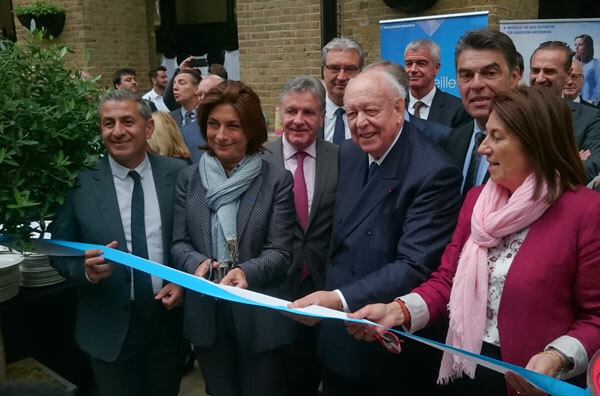 Jean-Claude Gaudin (Mayor of Marseilles and President of the Urban Community of Aix-Marseilles Provence and Vice-President of the French Senate) was in London on 19 May to raise the profile of his city and the surrounding region with British investors. He was accompanied by Martine Vassal, President of the departmental board of Bouches-du-Rhône, and heads of big companies in Marseilles. 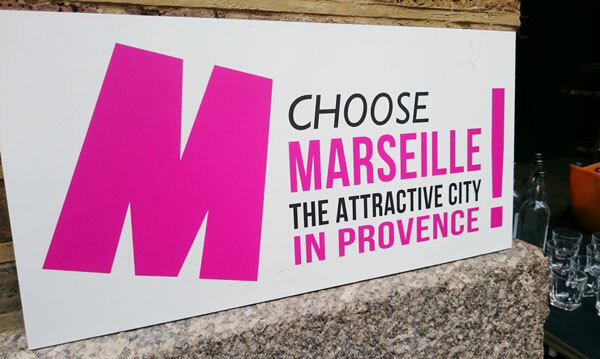 The day's slogan was simple: "Choose Marseilles!" 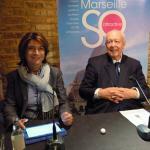 Marseilles's representatives were in London to show that the city and its region are much more than a tourist destination. Over and above its 10 million tourists a year, Provence is also a thriving region with a strong economy. "We want to combine the provençal art of living with business excellence", Martine Vassal claimed. With the second largest Francophone university in the world after Paris (71,000 students), the second French research cluster called AP-HM (Marseilles Hospitals) and CMA-CGM, the world's third largest shipping company, Marseilles is proud of its openness to the international market. Since 2013, the second largest French city has also increased its profile having been chosen as thanks to the Capital of Culture. And Britons can now directly go to Marseilles with Eurostar. "From the Thames to the Mediterranean with one ticket!" Jean-Claude Gaudin said. The new service has attracted 120,000 travellers since its launch a year ago. They did not choose to come to London for nothing. "We owe so much to the UK" explains Marseilles's Mayor. The British giant Hammerson invested €466M in the new mall Les Terrasses du Port. "They believed in us despite the crisis, and this has been a great success!" Mr Gaudin continues. Another distinctive sign of Marseilles, the Vieux Port shadehouse, was created in 2013 by the architect Norman Foster, from Manchester. Jean-Claude Gaudin and Martine Vassal also took the opportunity to open a temporary Provençal village in Hay's Galleria. 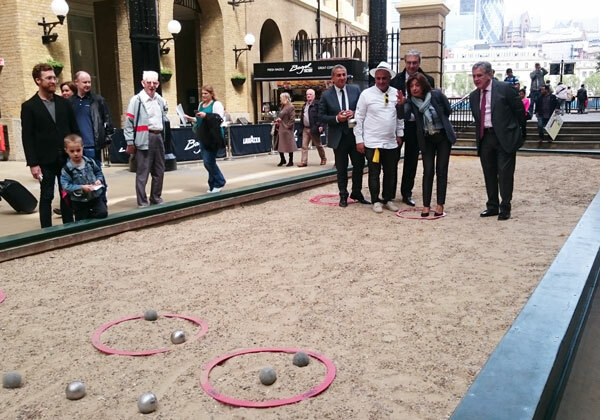 Pétanque, pastis, Savon of Marseilles, navettes and tapenade are honoured to give to the British capital a taste of Provence. From 19 to 21 May, artisans will present their products and look for sales opportunities in London. In summary, the aim of this visit is to show the dynamism of Marseilles to investors and start-ups. "We have a lot of good things to show to British people, Jean-Claude Gaudin said, We do not have Harry Potter's magic wand but thanks to our efforts, Marseilles is once again making a name for itself internationally as an attractive centre, not just for big European investors, but also for American and Asian companies."